It's been 11 awesome years since CrazyEngineers went live on the Internet and it feels like all these years went by in the blink of an eye. Each of these 11 years have been very special for CrazyEngineers and the team that works behind the scenes. CrazyEngineers has been the single reason for us to get up early in the morning all through; and I am sure it will be for many of us in the years to come. CrazyEngineers evolved from a simple online portal meant for engineers around the world to a self sustaining and growing business. The past year brought in several milestones - the most important being the launch of CrazyEngineers IO, which aims to change the lives of all our engineers for better by building an online network of applications that help engineers be awesome in everything they do. The initial response so far has been extremely encouraging and we're putting in real hard work to make it better every day. Of course, all of this would be a dream without YOU! New portals are born every day and they die young. Without your wishes and support we wouldn't be where we are! It feels bit wrong to write 'you' and 'we' because CrazyEngineers is all about 'us', the engineers from different parts of the globe bound together by one religion - Engineering. 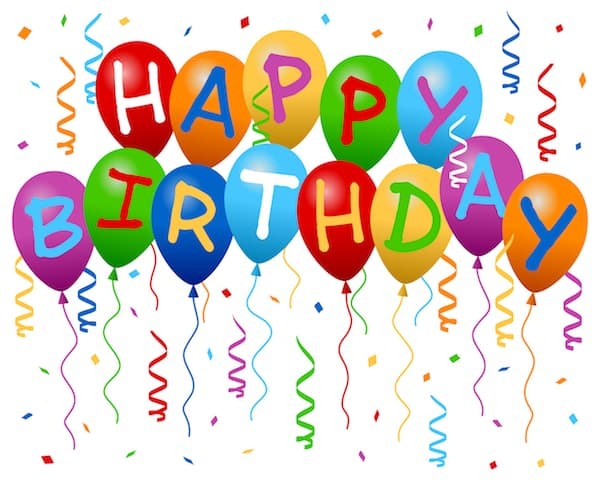 If you have anything to say on our 11th Birthday, write it below. First of all a VERY HAPPY BIRTHDAY to CrazyEngineers and @Kaustubh Katdare. In online world I started my journey back in 2004-2005 and used to be active member on different kind of forums/websites. 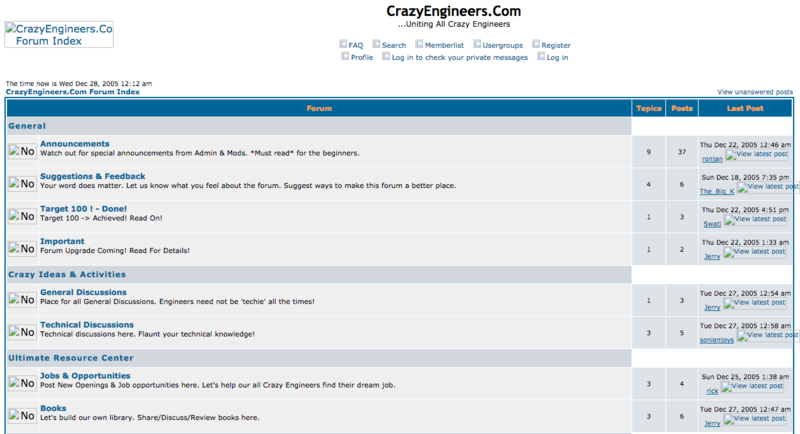 But it was Aug 12, 2008 when I joined CrazyEngineers and from the date I joined it was totally different experience as this is the forum dedicated to Engineers so this a way different then others as if you are spending 1min or 1hr or 1day on CrazyEngineers that is going to increase your knowledge at-least by a bit for sure. Also it's providing you a very good platform on how you are going to tackle a questions as you will see so many Curious Case Of Engineers looking for some answer/motivation/suggestion. Just want to thank you @Kaustubh Katdare for this creation and the way CE Team is handling/managing and there is not even a single day CE team has not done any brainstorming on how to make this platform more and more better and towards best for Engineer's community. From the day I have joined there is hardly few days that I have missed to visit/check updates on CrazyEngineers from the day I joined it. I am really a Proud Member of CrazyEngineers ! Can't believe that it has been so long! I have been a member of the site since Sep 10, 2006 and the journey to this day has been nothing short of a crazy roller coaster (..that they've only started to make these days!). From ups and downs to the tens of leaps of faith that we've taken together on this roller coaster have been equally enthralling, exciting and scary. I am nothing short of super proud to have made this journey along with CrazyEngineers. I am what I am today because of this wonderful site. This amazing venture has given me the skills, the empowerment and the confidence to grow BIG. In the coming years, I wish for CE - thousands of millions of members, the biggest of projects and multitudes of success! Happy Birthday, CrazyEngineers! As I said, if anyone's to be thanked, then its 'all of us - you, me and all our members'! Its really amazing to be a part of it. Thank You guys for putting this up and making it really an ecosystem of engineers. It's been around 9 months that i became a member of CE and i am proud to be a part of this team which helps us to develop a better ecosystem for aspiring engineers. Thanks to @Ankita Katdare Mam and @Kaustabh Katdare Sir who have always helped us, guided us and took our feedback to make CE what it is now. Not to forget the sincere efforts of our Moderators too, especially @Radhika Mam, The Founder's Circuit venture column is really very inspiring to read. I also loved the Quizzes and the contests that CE organized, though i failed to grab any gifts ( I wanted the CE Pro T-Shirt ) i felt happy each day to see the names of winners who inspired me to try more and more. Finally I would also like to mention my friend @Debasmita Banerjee, who introduced me to the world of CE! Thank you everyone! And I wish this festive month never ends. Happy Birthday Crazy Engineers! Happy birthday, CrazyEngineers. I have been a part of this community for over four years and working as a team has been a blast. Hope to continue this for years to come. Happy Anniversary to Crazy Engineers and a very happy birthday to @Kaustubh Katdare!! CE reached here by all of the members supports and team behind the innovative ideas . Miles to go!! Keep Rocking. No extra words to polish. Hats off to all the extra hands thats been working 24×7 behind the screen. Congrats CE!! I have to admit I have spent a huge time here answering and reading questions, solving puzzles and frequently getting inspired. Thanks to all your efforts, it has been a very satisfying journey (although only 2 years thus far for me). I can only imagine how satisfying a journey of 11 years - including the birth and rise of this awesome forum - must have been! Keep growing and keep innovating the same way! It's amazing to see the tremendous growth that CE has gone through over the years, and I am glad to have seen some of it myself. Awesome work by the admin and all moderators. Long way to go, more strides to surpass, and rest assured, CE will get there. Always a proud member of this amazing community!